Liverpool new boy Naby Keita is a more complete midfielder than Chelsea star N’Golo Kante and “the only player who can take the No.8 jersey after Steven Gerrard”, says Bruce Grobbelaar. Just four years on from playing Ligue 2 football at FC Istres, the highly-rated Guinea international is now a £48 million ($61m) addition at Anfield. He has been handed an iconic jersey upon his arrival, with big things expected of a man following in the footsteps of Reds legend Gerrard and one charged with helping to cover the loss of Philippe Coutinho. Grobbelaar believes Keita is up to the challenge, with the 23-year-old ready to make a similar impact in England to World Cup winner Kante – another of those to have enjoyed a meteoric rise from the lower reaches of French football to the very top of the game. “I honestly believe he is the only player who can take that No.8 jersey after Steven Gerrard – I think he’s the perfect player in that position,” former Reds goalkeeper Grobbelaar said in the Mirror. “Stevie G was a brilliant player who will always be remembered as a great servant and ambassador for the club and himself. “And Keita is the only person I would have given that shirt to try and emulate what Steven has produced. “He’s a beautiful player and I’ve already seen the signs that he’s going to have a major impact on Liverpool this season and in the years to come. Jurgen Klopp was very astute in seeing Keita’s ability and potential to develop. He got in fast, signed him, then left him at Leipzig last season. “I’m certain he’s going to blossom even more and fit into the side with ease. I’ve seen him in the pre-season games and he’s been absolutely brilliant. “I liken him to Kante, who is a top player. But, with Kante, what you see is what you get. He will hunt you down and win the ball. “With Keita, he will hunt you down, get the ball, then ­either get in the box and score or he has the same type of ­passing range Philippe Coutinho had in the final delivery. “There’s no question he’s the complete package for me and the perfect person to wear that jersey after Stevie G.
“When Coutinho left for Barcelona, it was a worry, but, after reaching the Champions League final, there’s no obsession with him anymore. “I look at stats. With Coutinho in the team, we didn’t win as many games as when he was out – so figure it out. “Maybe he was an individual player and talent that needed to show himself. 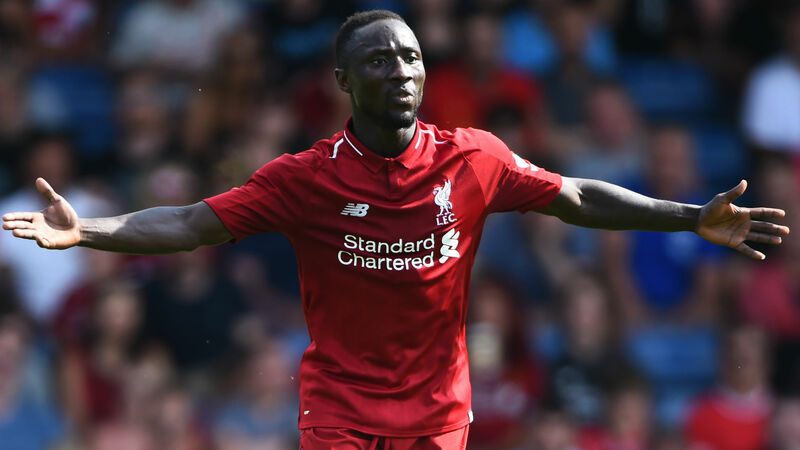 Keita will get a first opportunity to prove his worth in Premier League competition on Sunday when Liverpool open their 2018-19 campaign at home to West Ham.